Earn £10 worth of loyalty points when you buy this item. Please select your required options above. These wearable plain-fronted trousers come in a range of lovely shades and are guaranteed to become everyday favourites. Trouser: Classic fit. Plain front. Slant side pockets with double stitching. Two hip pockets with buttons. Front coin pocket. Comfort waistband. Machine washable. Excellent fit and a subtle mid-grey/fawn colour. Need careful pressing before first wearing. While the quality and fit are good these trousers, in common with many others made today have a major fault. The fly is cut too short, the distance between the end of the fly to the crotch is over three inches and thus can be uncomfortable for men at particular occasions. The only way to get a comfortable trousers today is to have them tailor made. Slimmer, trimmer fits doesn’t mean you’ll be uncomfortable. 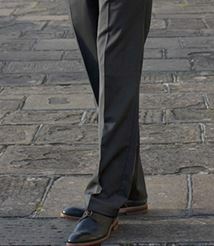 Stretch waistbands and half lined trousers ensure you’ll move freely and look smart in our trousers. 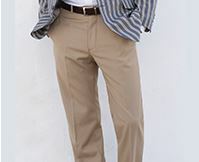 From seasonal summer chinos to 100% wool suit trousers, Brook Taverner offers the best in mens trousers. With attention to detail, you’ll find the earmarks of quality, like half lined legs, button and clasp fastening and comfort waistband. Always an emphasis on comfort and style, our fits perfectly compliment any jacket or sweater. 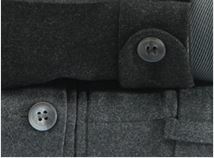 100% pure wool by Johnstons of Elgin, Brisbane Moss moleskin, luxurious cotton, and super 100s Italian wool are a few of the fine fabrics sourced to create Brook Taverner trousers. Available in a variety of patterns, from checks and herringbone to plaid, and plain. Your trousers are the anchor of your ensemble. It’s important to choose the right fit. 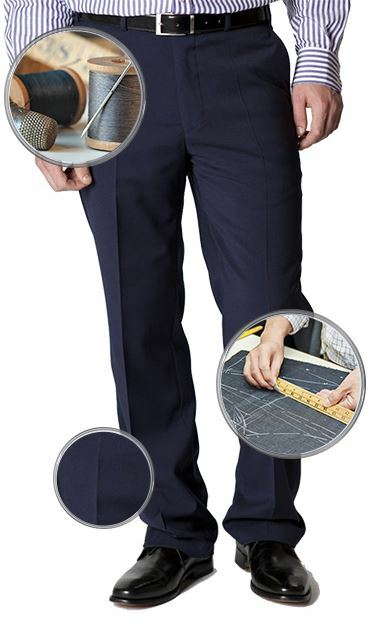 Classic fit trousers can be pleated or flat front and they are characterized by a more generous fit. Relaxed in the thighs and straight through the knees, a classic fit is timeless and supersedes trends and fashion. You can’t go wrong with classic fit trousers. 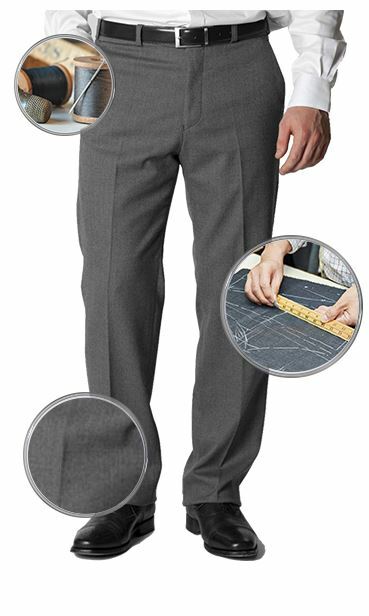 Classic fit trousers waistband should be neither too baggy nor too tight. Pockets should lay flat upon the hip, not pull apart. If pockets expand, a larger size waistband is necessary. For the perfect fit, two fingers should fit between the waistband and the hips on both sides when not wearing a belt. Although it is a matter of preference, classic trousers traditionally break once before the top of the shoe. In the back, the hemline should halfway cover the sole of the shoe. In the front, it should be just slightly higher, so that the tops of the shoes are covered. 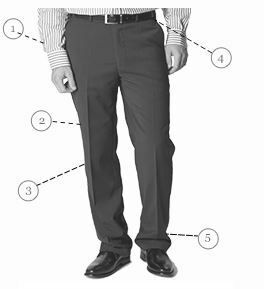 Classic fit trousers are more generous around the thighs, tapering slightly throughout the leg to the hemline.